Radha Rajkotia is the Director for Economic Recovery and Development at the International Rescue Committee. At IRC, she sets the vision for the organization’s global strategy for economic programming and supervises a team of technical experts who support this strategy. Previously, Rajkotia was the Senior Technical Advisor for Youth & Livelihoods at IRC. In this role, she led a team of technical advisors to support IRC’s global youth and livelihood programming, with a special focus on youth employment and entrepreneurship. 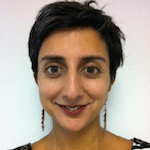 Rajkotia has 15 years of experience in economic and youth-focused programming and joined the IRC after completing her PhD in Refugee Studies at the University of Sussex. She also has degrees in Social Research Methods, Migration Studies, and Political Science.